In a recent video posted to Instagram, Adam Hadwin was preparing for this week’s British Open by hitting balls in his backyard in Phoenix. It may seem counterproductive, climate-wise, except it was during an Arizona monsoon – and the Canadian golfer was there in full rain-gear, smiling away. The state’s monsoon season runs from mid-June to September, which lined up perfectly for Hadwin as he prepared for the third major of the year. 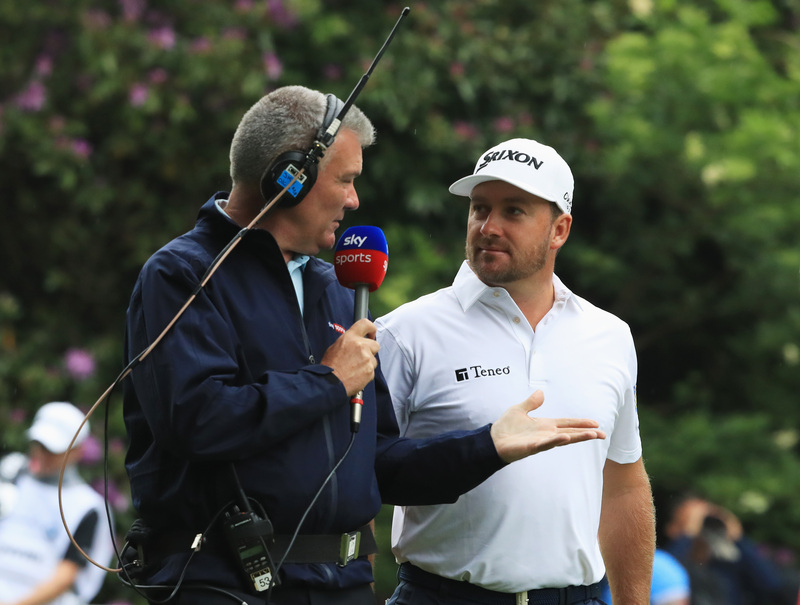 “I do have more understanding about links golf and what to do where and when. I feel more confident that I’ll be able to adjust my game over there going over this time (better than he did) last year,” the 30-year-old Hadwin, of Abbotsford, B.C., said. Not only did 2017 mark Hadwin’s debut at the British Open, it also was his first trip to Europe. 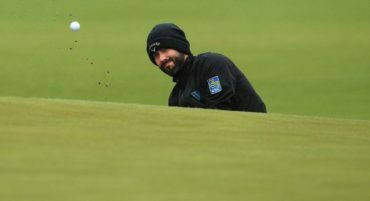 He missed the cut, and despite enjoying being tourist-for-the-day in Liverpool with his wife Jessica, he’s eager for more this year at Carnoustie Golf Links. Scotland has experienced a heat wave the last few months, meaning the course is ripe for long, running shots along baked-out turf. Hadwin, the lone Canadian in the field, said he has worked on some specific links golf strategies. 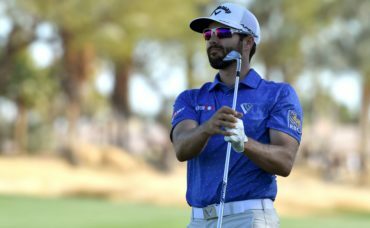 “I dialed in the basics but also added some of those unique shots I might face, and tried to fly the ball a little bit lower, especially off the tee,” said Hadwin. Hadwin plans to add a few different clubs to his bag that he hasn’t used since last year’s British Open. Hadwin admitted he doesn’t know much about Carnoustie, but has been told repeatedly it will be a stern test of golf. “Everyone seems to be calling it ‘Car-nasty’ so my understanding is it’s going to be a very difficult golf course, especially if the conditions make it more so,” he said. He planned to play 18 holes on Monday after walking the course over the weekend. He’ll play another full round on Wednesday as, from experience, he knows a major-championship venue changes drastically from the beginning of the week to Thursday’s opening round. 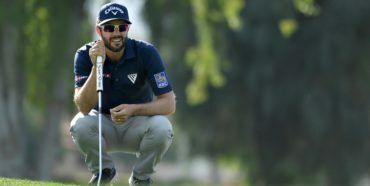 As Canada’s highest-ranked male golfer, Hadwin has earned more than US$1.4 million this season, with three top-10 finishes. He missed the cut at last month’s U.S. Open, ending a streak of cuts-made that was one of the longest on Tour, but feels confident he’ll begin to score well again sooner rather than later. 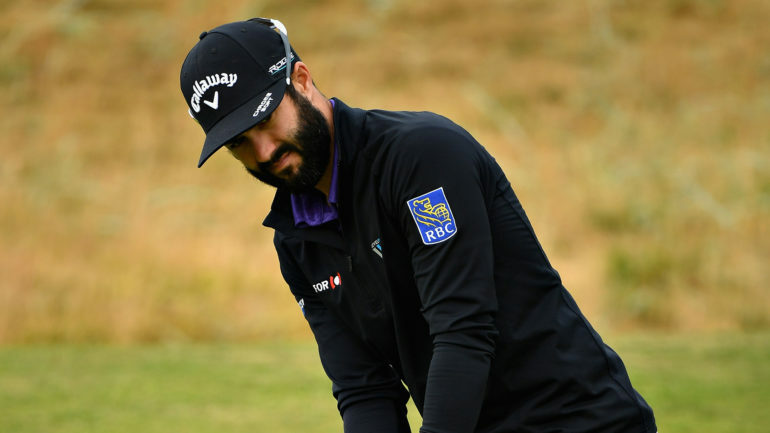 Although Hadwin sits 60th on the FedEx Cup season-long points race (more than twice as high as the next-closest Canadian), he admitted his putting – long considered his strength – has let him down slightly this year. He told The Canadian Press in December his objective for 2018 was to improve his iron play, which he said he’s done. But because of how much Hadwin practised that aspect of his game, his putting work tapered off. He said he has spent more time on the putting green recently to work on speed, alignment and feel. Hadwin hasn’t notched a top-20 finish since May. He said he is in a “birdie-bogey cycle,” but feels he’s playing well overall. After the British Open, Hadwin will fly back to Oakville, Ont. for next week’s RBC Canadian Open, where his best finish is a tie for fourth in 2011.